A psychic reading is when I tune into your vibration. I will cover issues regarding love, relationships, jobs, possible future outcomes, and any situations that could be stopping you from reaching your desires. If needed I will clear issues from a past life. A person can suffer issues like depression, anxiety or phobias in this life with the root of the problem based in a past life. With the help of the Archangels these cell memories can be released and healed. I like to start with a prayer to the Archangels, the Ascended Masters and your Spirit Guides, asking them to provide me with information that could be helpful to you. I will receive this information in the form of psychic impressions. I am Clairvoyant, Clairaudient, Clairsentient, and Claircognizant, a Seer, and a Spiritual Healer. 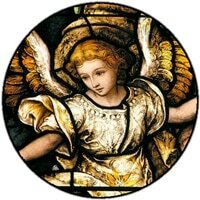 I like to integrate help from the Archangels in the readings. I am not a mind reader; I do not know everything about a person. People can ask me something I may not necessarily be sensing and the question will then trigger my clairvoyance. ​Most of my readings are done clairvoyantly without any tools. But I do love Tarot Cards and one of my Spirit Guides is a Romani Gypsy who has been seen clairvoyantly by famous mediums like Bill Lynn (he used to live in Tampa Bay) and by Paul Jacobs (England). Your Spirit Guides and your Angels could tell me about experiences that happened in your past. These experiences may still have a strong hold on you today. If these areas are too sensitive or uncomfortable to discuss I will move on. We will revisit them when you are ready. But most importantly, know that cords to negative past experiences can be cut so that healing can begin and you can start anew. Your spirit guides will tell me things that are happening to you right now. These may be difficult circumstances or situations where you are looking for more insight or clarification to help resolve them. You can receive information which may offer a solution to the issue stressing you. They will tell me about future events that await you. I should say possible or probable future events because you have free will. Your decisions and the actions you take will affect how these events unfold. I can provide awareness, insight, and support. The outcome will be up to you. I don’t ask many questions during a reading. So as I get into my psychic flow, just a little smile or nod will validate what I’m communicating. To address the issues you are concerned with I may do some life coaching, energy work, prayer -whatever I sense is needed for the session to be effective. A Mediumship reading is when I connect with a person that has passed. I become the conduit between their spiritual world and our physical world. I will prove that life continues after physical death. I will give you evidence your loved ones have passed to the other side but are still here in spirit. By providing detailed information about the person, you will immediately realize I am actually connecting with them. In a Mediumship reading, the departed individual, you, and myself will be working as a team to make the connection happen. The reading will work best if you keep your mind open to all possibilities that may arise. Trust me so we can both feel comfortable in each other’s energy. Every reading is different. Some readings may have many pieces of evidence, others might have more messages. There are readings where you may not have shared many memories with a family member in heaven, like when a parent passes when a child is very young. But in this case your departed family member will describe details about your life, proving they have been around you ever since. Those in spirit know the kind of evidence I hope to hear that will make it clear to you they are present in the room with us. This information often comes through in bits and pieces, and it can be like piecing together a puzzle. I expect to receive messages from them. Some messages might validate decisions you have made since their passing. They may mention what they have seen you doing since they passed. It could be something simple like your father is showing me you walking in a park recently or your sister knows you want to buy a house. They might say thank you for an action you did for them. Or they may offer you an apology as well. Please do not let the outcome of the reading be dependent upon hearing the one thing you remember as being very significant to you. Expectations that are so specific may be limiting and might leave you disappointed. And it may not be what the person wants to talk about. In my experience, there is no specific time frame for when a person passes and when I will be able to connect to them. But I find that middle aged persons or older are easier to connect with shortly after they have passed. 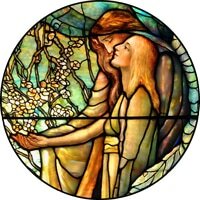 I have had successful connections even a couple of days after someone has passed. There was one occasion when a person came to me, hoping to connect to her mom just 3 days after she had passed. Unfortunately, there was no connection but I was told by spirit guides and angels to wait three weeks. We tried again in three weeks and this time we were able to connect with her mom. When someone dies young (20’s to 30’s) or has a traumatic passing –please allow at least 3 months before requesting a mediumship reading with me. I find if you wait a little you will increase the possibilities to be able to connect with this person. In these situations people in heaven may need some time to adapt themselves in their new plane of existence before they can connect to us in a reading. I also work with the power of a name. Meaning, if the person you were hoping to connect with does not show up at the beginning of the reading, we still have an opportunity to request their presence by stating their first name. This is proper mediumship. Mediums like Tony Stockwell in England and Doreen Virtue in the US use this technique. No medium can guarantee which person we can connect you to, but this technique to call on the person by name will work most of the time. If you have several persons in your life with the same first name I may also ask for their relationship to you. Not every medium will be a good energetic match for a client. Once in a while I may have a reading where there is no connection or only a weak connection with just a few pieces of evidence. If this is the case -we will realize it within the first 15 minutes- I will end the reading and there will be no charge. The reading will last about 90 minutes. Please do not reach me earlier than your appointment time as I will be meditating in preparation for your reading. It is not necessary for you to bring any objects that belonged to your loved ones in heaven. If you agree and understand how I work please go ahead and request an appointment. I would love to read for you. I look forward to connecting you with your departed loved ones, family members, romantic partners, friends, and beloved pets, and to passing their messages on to you -providing closure if needed. I take this gift I've been given very seriously. This is something I love to do.